Life is all about moments and it is vital that you smell great when you experience those special moments. I haven’t written anything on fragrance yet, so I thought I'd have a change and share the perfume which I've been enjoying wearing for the past couple of weeks. 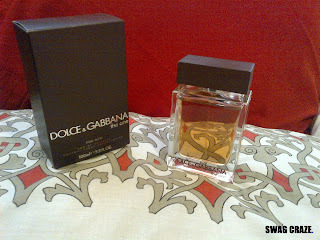 I received The One for Men by Dolce & Gabana and I really like scent of the perfume. I am impressed by the staying power of the fragrance. I really like this perfume and I would recommend it as a next buy to anyone who haven’t yet used it!